Will 3D Live Production reach the Threshold Level ? In the second round of the German Cup the defending champion Bayern Munich met SV Werder Bremen on 26. October (2:1) and a day later Eintracht Frankfurt played Hamburger SV (5:2). Both matches were broadcasted live in HD and 3D on Sky. In addition the Bayern Munich game was shown also on “Das Erste” in HD. The live coverage of both matches in 2D and 3D was carried out by TopVision on behalf of Sportcast, a 100% subsidiary of DFL Deutsche Fußball Liga GmbH and responsible for the frames of the German Cup matches. TopVision’s HD Ü4 and HD Ü5 with its associative tender trucks were on location at both stadiums and delivered both signals within 24 hours. 3D picture offers an enhanced experience for viewers in movie theaters. It has been proven that movie goers are willing to pay higher ticket prices for 3D movies. The box office success of a number of high profile 3D movies created a lot of interests from content providers and content distributors to deploy 3DTV with the hope of having the same financial success through an increased number of subscribers, higher subscription fees, and higher advertising revenue. In order to support 3DTV, there is an increasing need to generate more 3D content. However, in order to produce 3D content, several new 3D video equipment (including cameras, post production equipment, and test and measurement equipment) are required. Tektronix, being a market and technology leader in the broadcast test and measurement industry, thus launches a new set of 3D video monitoring and measurement features to satisfy the market needs. Corresponding with the growing popularity of 3D productions, orders for DSC Labs' recently released Fairburn 3D Chart have been on the rise. Designed in collaboration with Emmy® award-winning Director of Photography Sean Fairburn, the DSC 3D Chart provides videographers and filmmakers with a calibration tool that lets them properly balance and align cameras as well as check zoom, focus, rotation, keystoning, grayscale and colorimetry accuracy. Stephen Pizzo, co-founder of Element Technica, whose series of groundbreaking Technica 3D Rigs are designed to precisely position a pair of cameras to achieve realistic stereoscopic digital video for broadcast and cinema, highly recommends the Fairburn 3D Chart. Designed for use with a 3D beam splitter and side-by-side stereographic rigs, the DSC 3D Chart includes 15 test elements for pinpointing even the most critical differences in aligning 3D cameras. For matching colors, this 3D Chart includes a hexagon-shaped version of DSC's trademark ChromaDuMonde multi-hued pattern. Also included are 18% gray patches for users migrating from the film world. Vizrt Ltd., a leading provider of content production tools for the digital media industry, today announced that it has formalized its strategic collaboration with Stergen Hi-Tech Ltd., as published at IBC 2010. Stergen is a developer of 2D to stereoscopic 3D video conversion software. Vizrt now offers tight integration between Stergen stereo 3D conversion software tailored to sports TV networks, sports leagues and webcasters and its own stereo 3D graphics portfolio. With this new agreement, Vizrt will make an equity investment in Stergen of approximately USD 1.86 million, made up both of a cash payment and marketing services, in consideration for preferred shares. In addition, the parties have entered into a teaming agreement with respect to the sale of Stergen's products by Vizrt. Vizrt will hold approximately 20% of Stergen. Recently Paul Kalkbrenner finished his "Berlin Calling Tour". On 17 April 2010 Paul performed at the Jahrhundert Halle in Frankfurt. Pfadfinderei, an internationally renowned design collective, was responsible for the visualization of Kalkbrenners performance on the stage. For the lighting effects Max Schöntag was in charge. A team of cameramen around Max Penzel recorded the event in High Definition. The combination of an analogue Mackie 1604-VLZ Pro, MIDI-controllers, hardware-synthesizers and -drum machines with software-synthesizers and -sequencers on his Apple MAC is Kalkbrenners instrument. On this instrument he is playing during the three to five hour sessions. All the pre-recorded loops on his MAC he always is mixing live during the sessions giving him the freedom to interpret the 16 loops and his actual feelings and emotions in a similar way like a guitar player is performing on the six strings. When Scott Chmielewski, president of Digital Media Designs, put a pair of grandMA2 full-size consoles through their paces at Virgin Mobile’s FreeFest, a day-long music and dance extravaganza, he deployed the grandMA2’s brand new 2.0 software with stunning results. FreeFest attracted some 40,000 fans to the Merriweather Post Pavilion and surrounding grounds at Columbia, Maryland where headliners included Joan Jett, Lucacris and M.I.A. Chmielewski, whose Digital Media Designs offers innovative concepts in lighting design, marketing and media presentation, served as the designer, programmer and production provider for the event and was responsible for the dance stage and one of the two primary stages. HD Protek was found as the youngest company of Saran Medya in January 2008 to serve in the area of live broadcasting with High Definition technology. 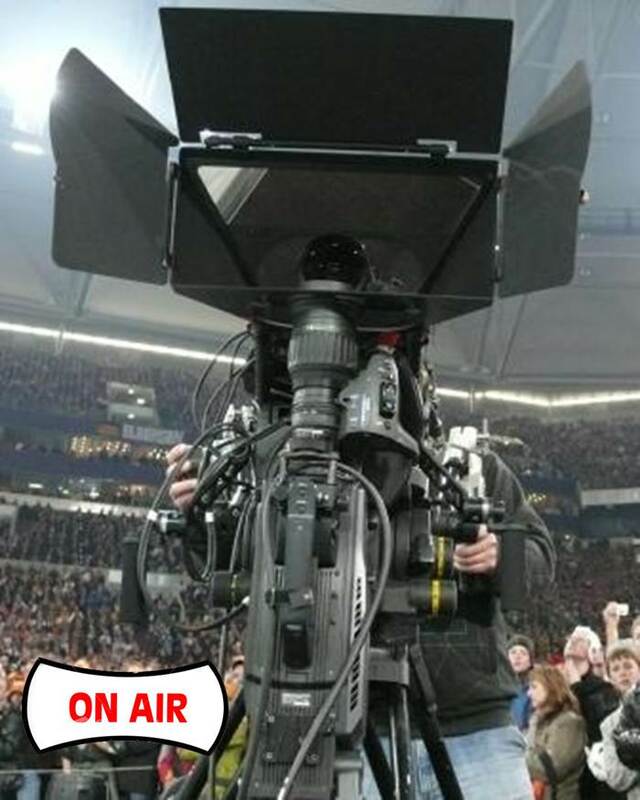 In these advanced technological times there is strong competition in the HD broadcasting world, both in production as well as on administration levels. Turkey is one of the most promising competitor in this progress and HD Protek is the pioneer company with the leading platforms of the HD broadcast in Turkey, such as “Digitürk” and “HD Smart”. HD Protek also works in collaboration with Sport5 and other foreign companies for the broadcasting of international matches. HD Protek offers a comprehensive portfolio of equipment and services including HD satellite and microwave links, HD digital radio cameras, HD UpLink Vans and an HD OBVan.